When you spend most of your week at an auto dealership, you get used to seeing the same familiar (automotive) faces daily. We sell a car, we take a car in, and we get so used to seeing the same cast and crew parked out front that we get disproportionately excited when the new, shiny models are delivered. But there’s something wrong with that mindset. Yes, the redesigns and refreshes that Acura puts out are gorgeous and useful and exciting. But it’s wrong for us to get so excited about, say, the 2017 MDX that we stop singing the praises about the similarly gorgeous, useful, and exciting 2016 MDX. Sure, we’ve seen its body style for years, but it’s not the kind of car you just push aside because there’s a new kid in town. So as we start to get used to the redesigned MDX, let us take a moment to appreciate the model it joins, but could never truly replace. The 2016 MDX came with a new 9-speed automatic transmission, which is smooth as silk and made the MDX more fun and dynamic to drive than any we had seen before. It has 290 horsepower, meaning that it offers more power than most of its competition with more standard features and safety features at a lower price. That’s a pretty special SUV. 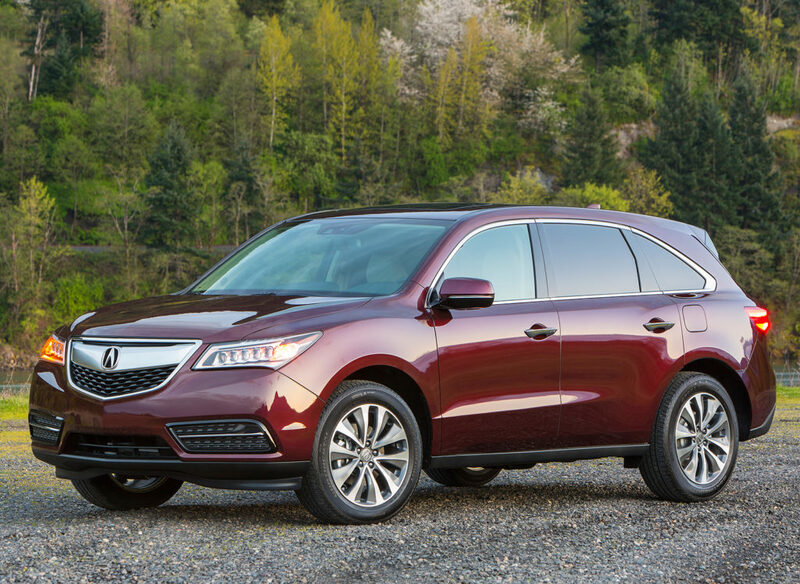 And, in a market that loves SUVs and trucks in great part because the price of fuel is so low, the MDX offers impeccable fuel economy for when gas prices inevitably jump back up. Throw in a premium ELS sound system and understated yet eye-catching styling, and you have yourself a remarkable luxury SUV. So while it’s easy to fall for every new and exciting thing that comes onto our lot, the 2016 MDX has too much appeal for us to let a new model arrive without singing the ‘16’s praises. It’s a special car, and we’re excited to see them every morning while we still have them!